Hastert is serving a 15-month prison term in a hush-money case that stemmed from his sexual abuse of students when he taught at an Illinois public school more than 35 years ago. Former House Speaker Dennis Hastert departs the federal courthouse Tuesday, June 9, 2015, in Chicago after his arraignment on federal charges that he broke federal banking laws and lied about the money when questioned by the FBI. An Illinois retirement board is terminating the pension that imprisoned former U.S. House Speaker Dennis Hastert for his service in the Illinois General Assembly. The General Assembly Retirement System's board of trustees voted 5-2 on Wednesday to end Hastert's $28,000 annual pension. Hastert's attorneys didn't immediately respond to a request for comment on the decision. 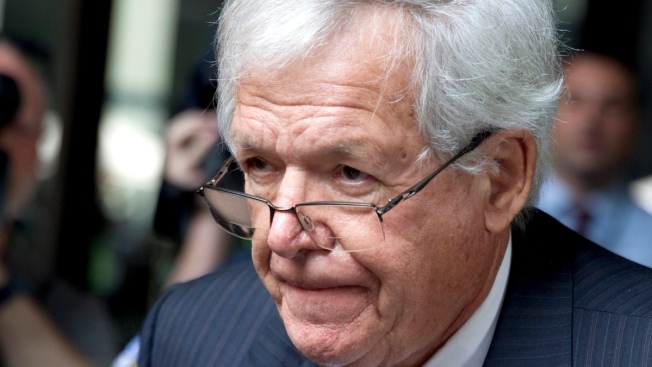 Hastert could appeal the decision in state court. The Illinois attorney general's office previously recommended that the board reduce Hastert's pension to $9,000 a year. Hastert also receives pension funds for his time as a teacher and tenure in Congress.